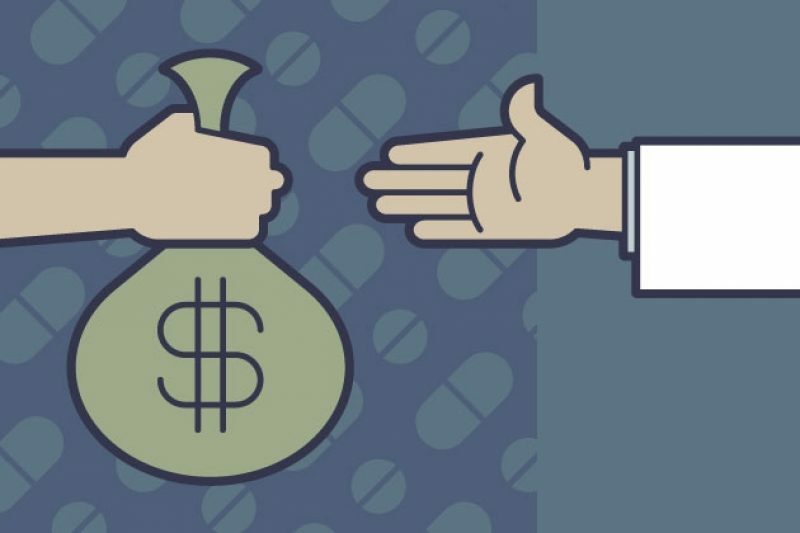 Physicians whose state boards have sanctioned them for harming patients, unnecessarily prescribing addictive drugs, bilking federal insurance programs and even sexual misconduct nonetheless continue to receive payments for consulting, giving talks about products, and more. Pharmaceutical and medical device companies are continuing to pay doctors as promotional speakers and expert advisers even after they’ve been disciplined for serious misconduct, according to an analysis by ProPublica. In June 2015, New York’s Board for Professional Medical Conduct accused orthopedic surgeon Alexios Apazidis of improperly prescribing pain medications to 28 of his patients. The board fined him $50,000 and placed him on three years’ probation, requiring that a monitor keep an eye on his practice. Stryker also paid another orthopedic surgeon, Mohammad Diab of San Francisco, more than $16,000 for consulting and travel, even though California’s medical board had disciplined him for having a two-year-long inappropriate sexual relationship with a patient, whose two children he also treated. He was suspended from practice for 60 days, required to seek psychological treatment and given seven years’ probation. He is still required to have a third party present while seeing female patients. Neither Apazidis or Diab returned emails or calls seeking comment. While many doctors were sanctioned for minor offenses such as failing to attend required continuing medical education courses, hundreds were disciplined for more severe offenses, including providing poor care, inappropriately prescribing addictive medications, bilking public insurance programs, and even sexual misconduct. The industry’s relationships with sanctioned physicians have come under scrutiny before. In 2010, ProPublica analyzed payments by seven drug companies that had been required to make them public, finding 250 recipients who had been disciplined, many for serious misconduct. Device company Arthrex doesn’t hire doctors who “do not possess the proper credentials and licensure for the task assigned,” said spokeswoman Lisa Gardiner. She acknowledged, however, that the company only checks the status of doctors when their contracts begin, not annually as some companies do. A Florida doctor Arthrex hired in 2013 surrendered his license in 2014, but Arthrex paid him almost $7,500 in consulting fees after that, records show. While his contract obliged him to inform Arthrex if his licensure status changed, Gardiner said he never did. Campbell defended the benefits of such financial ties, saying they compensate doctors for providing crucial feedback on products and help doctors teach their colleagues about what’s out there. Dr. Charles Rosen, the co-founder of the Association for Medical Ethics, which seeks to reduce manufacturers’ influence on doctors, said he was not surprised hear that disciplined doctors are among the industry’s consultants and speakers. Johnson & Johnson paid Dr. Michael Reiss of New Jersey $85,000 for consulting through its pharmaceutical arm Janssen in December 2015. He’d just regained full use of his medical license that August; it had been suspended since 2012 because he’d pleaded guilty in federal court to hiding $2.5 million from the IRS in Swiss bank accounts. When reached by phone, Reiss said Janssen had performed a background check, but couldn’t recall whether his disciplinary history had come up as part of his interview process. “Apparently it wasn’t an issue, they hired me,” he said. Reiss said he’s retired from practice aside from his consulting work, but declined to say what this consists of or whether he does work for Janssen or any other company. AstraZeneca paid Miltiadis Leon, a Texas physician, more than $26,000 in 2014 and 2015, mostly for speaking fees and travel expenses. In 2006, the doctor’s license was limited after he was found to have sexually harassed and inappropriately touched several female patients and staff members. He was not allowed to see female patients without a chaperone for two years. Leon referred ProPublica to his attorney, who said he would speak to his client, but then did not return a call for comment. In a statement, AstraZeneca spokeswoman Abigail Bozarth said doctors with whom the company has financial relationships are reviewed both by an external organization and by the company’s own compliance department. Bozarth said the process includes checks of government databases, including discipline by state medical boards, but would not respond to inquiries specifically about Leon. According to 2014 reports by CNBC and The New York Times, tiny drugmaker Insys routinely worked with doctors previously disciplined for misconduct related to the marketing of the company’s painkiller, Subsys. 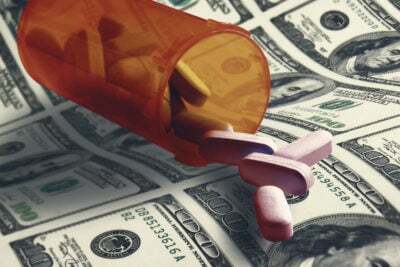 Insys was also the subject of investigations by several states. Soon after the reports, the CEO resigned. But Insys’ payments to troubled doctors have continued. Texas physician Fernando Avila, who Insys has paid almost $170,000, has had multiple disciplinary issues dating back to 2003. In 2009, he was found to have improperly prescribed pain medication and ordered to take courses in appropriate prescribing. In a subsequent case, a patient was left with brain damage after Avila improperly administered anesthesia during a procedure in his office. The Texas Medical Board fined him, issued a reprimand and required him to take a competency exam related to this in 2011. Yet Insys stuck with Avila, paying him $60,000 in 2015 alone, even after the company was criticized the previous year for its doctor relationships. Reached at his office, Avila’s administrator declined comment on his behalf. A spokesperson for Insys did not return multiple calls and emails. Spokesman Mark Taylor said the company began using a third-party vendor in 2013 to conduct background checks and screen out doctors who had faced sanctions. Doctors flagged during this process are referred to an internal committee at Eli Lilly for a final decision. Drug maker Boehringer Ingelheim, by contrast, checks only federal databases on an annual basis. Its contracts with physicians require doctors to attest they are in good standing with their state boards, but the company does not independently check for state-level discipline unless it has “received information to suggest a speaker or consultant was not being truthful,” said spokeswoman Erin Crew. Novo Nordisk spokeswoman Marisa Sharkey described a similar process, adding that the company checks state disciplinary databases “as needed.” It requires doctors to inform the company if they have been disciplined or if they are placed on a list barring them from receiving government contracts.